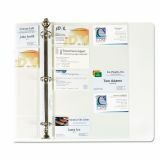 Heavyweight polypropylene pages with reinforced binding edge. 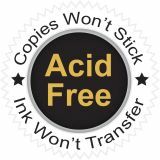 Note: A minimum quantity of 145 must be ordered, and in units of 5 thereafter. 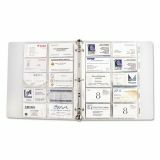 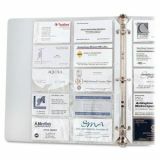 C-Line Business Card Binder Pages, Holds 20 Cards, 8 1/8 x 11 1/4, Clear, 10/Pack - Heavyweight polypropylene with a reinforced binding edge or durable vinyl pages hold your important business cards for easy reference while at the office or on the road. 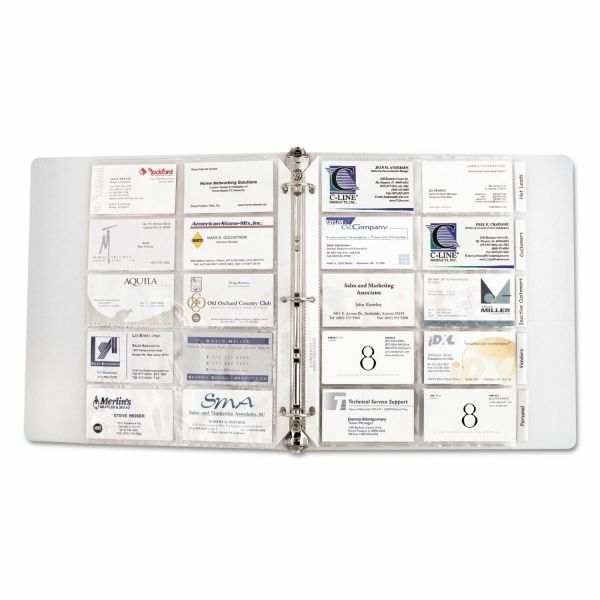 Styles with and without tabs let you organize business cards in a way that makes the most sense for you. 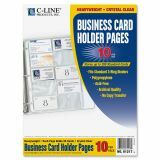 Each page stores 20 standard-size business cards. 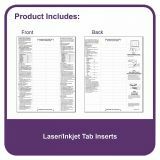 Tabbed pages feature laser/inkjet printable inserts. 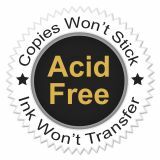 Three-hole punched.